a descent of sixteen locks should give us time to talk. and I’m so happy to be here with you after all you’ve been through. yet once this was England’s Silicon Valley. and brickdust to secure his fortune. – difficult news were the words you used when you wrote to me. two waterways join and a fingerpost directs us four ways. we pass under one of the bridge’s three arches. the lime kilns. He was a benign boss, by most accounts. will make you tired and sick and vulnerable to germs. bringing us back to a world free of secrets and fear. the council are thinking of putting up railings. that Oldknow’s boat was called Perseverance? a man opens the lock gate for his narrowboat, Halcyon. [wpcf-summary-description] => One of Nancy Campbell's Canal Laureate poems. Nancy Campbell is the current Canal Laureate. A writer who works across disciplines, from poetry and essays to publishing artist’s books, she grew up in the Scottish Borders and Northumberland and her work is informed by these landscapes and borderlines. A series of residencies with Arctic research institutions has resulted in projects responding to cultural and climate change in polar and marine environments. Nancy’s poetry collection Disko Bay (‘a beautiful debut from a deft, dangerous and dazzling new poet’ – Carol Ann Duffy) was shortlisted for the Forward Prize for Best First Collection 2016. Her artist’s books include proviso, Death of a Foster Son and How To Say ‘I Love You’ In Greenlandic: An Arctic Alphabet which received the Birgit Skiöld Award. Nancy is dedicated to developing innovative literature projects to engage audiences with environmental issues. She was a MarieClaire ‘Wonder Woman’ in 2016 for activities including Arctic Book Club and The Polar Tombola, an interactive live literature event. Nancy’s writing on the visual arts appears regularly in the Times Literary Supplement and many other journals. Bill Jacklin: Graphics, co-authored with Jill Lloyd, was published in 2016 to accompany the artist’s exhibition at the Royal Academy. For some years the editor of international art magazine Printmaking Today, she remains on its editorial board. One of Nancy Campbell's Canal Laureate poems. Nancy Campbell is the current Canal Laureate. 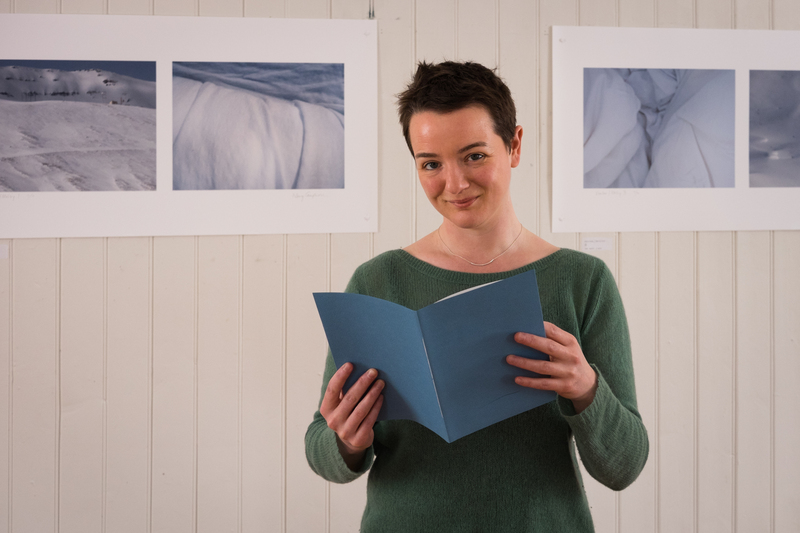 A writer who works across disciplines, from poetry and essays to publishing artist’s books, she grew up in the Scottish Borders and Northumberland and her work is informed by these landscapes and borderlines. A series of residencies with Arctic research institutions has resulted in projects responding to cultural and climate change in polar and marine environments. Nancy’s poetry collection Disko Bay (‘a beautiful debut from a deft, dangerous and dazzling new poet’ – Carol Ann Duffy) was shortlisted for the Forward Prize for Best First Collection 2016. Her artist’s books include proviso, Death of a Foster Son and How To Say ‘I Love You’ In Greenlandic: An Arctic Alphabet which received the Birgit Skiöld Award. Nancy’s writing on the visual arts appears regularly in the Times Literary Supplement and many other journals. Bill Jacklin: Graphics, co-authored with Jill Lloyd, was published in 2016 to accompany the artist’s exhibition at the Royal Academy. For some years the editor of international art magazine Printmaking Today, she remains on its editorial board.